In November, Santa notices a leak in his roof. The polar ice caps are melting, and Santa decides that he needs to do something. So he sets out early to tell all the children of the world how to help save the environment. He also makes some green changes to Santa’s workshop. 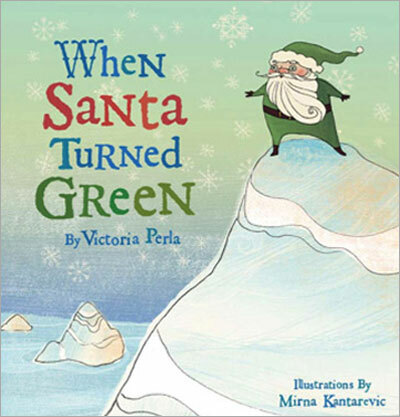 Victoria Perla’s When Santa Turned Green is an interesting new offering that teaches younger kids about how they can help the environment. It’s suprisingly effective; using Santa to explain the effects of melting poles works. **As mentioned in a more recent posting, I will not be buying this book or others from this publisher.